Everything begins with a good design. Our design team has over thirty years of hands on experience creating eye-catching and professional graphics to help your business gain new clientelle through various forms of marketing. We are here to help. We offer all forms of printing and can provide you with a low priced marketing plan which will allow you to spend your budget wisely. 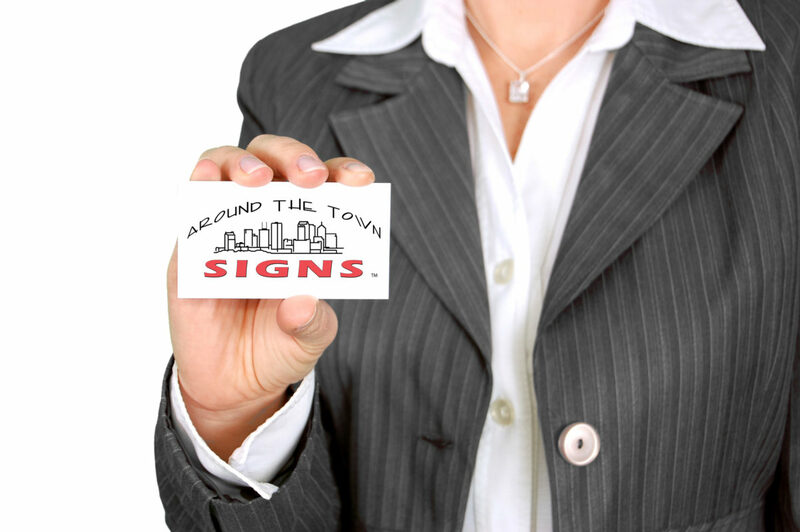 Our business cards are a economical way to spread your basic information to potential clients for pennies a piece, while larger signs can be used to target local traffic as it passes by. Signs come in all shapes and sizes and we can provide you with the right sign at the right price. Most of our signs are made in house and by cutting out the middleman you’ll save money. Schedule a meeting to evaluate just what we can do to help. One of the best places to advertise our business is on the vehicles we use to do business. 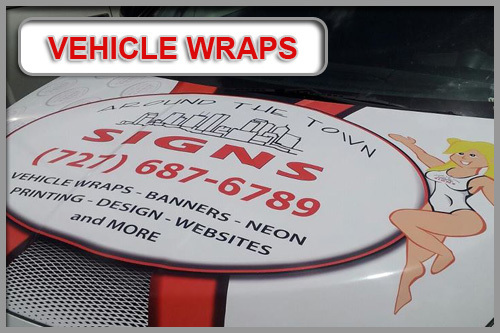 It is a fact that wraps are the new billboards in the marketing industry. Better than a stationary billboard sign, a vehicle wrap travels around and is seen by potential clients throughout an area where the company already travels for work. We can help you design a wrap that is within your budget using partial to full wraps to take your brand exposure to the next level. While signs allow your clients to find your location, LED displays provide a message to everyone that passes by the displayed images. We all have heard the saying, “A picture speaks a thousand words.”, and now you can use pictures to show others just what you have to offer them. Our displays are backed with U.S. based technical support that is available to help you out in the event there ever is a problem. Most storefront signs are letters that are lighted in some fashion or another. We have front lit channel letters, reverse lit, or a combination of the two to create a unique lighting effect for your sign. Our LED’s used in the channel letters come with a 5 year parts and labor* warranty to ensure that your sign will be brightly lit for several years. One of the most cost effective forms of advertising is done with vehicle wraps. Vehicle wraps are seen by thousands of other drivers on the road in areas where a company already works. This is a fantastic way to build a brand while building a client base in the businesses local market. Staying local saves a business on travel time and will thereby be more productive yielding better profits. A business card is like a tiny sign that you can give someone to take with them after a conversation or a meeting. The card should contain the company name, logo, and contact information at the very least. Since they are small and have very little room they should not have too much or it will look cluttered and not send a clear message. We can help with your business card design. We are extremely busy and it appears that the future holds more of the same. Very thankful to our current clients for all the referrals which have led to many new clients as there is no better compliment to us than being referred to someone because we made a client happy. Looking forward to continued success and wishingyou all the same.